A reliable source for Pressure Chambers information and a resource for accessing leading Pressure Chambers and suppliers. Pressure chambers are a type of environmental test chamber used to test all kinds of products in a wide range of environmental conditions. Obviously, this kind of chamber is specifically used to test how certain products withstand and perform at a variety of different pressures. Typically, manufacturers use this kind of equipment to test the limits of their products or to determine if any modifications should be made to the product’s design. 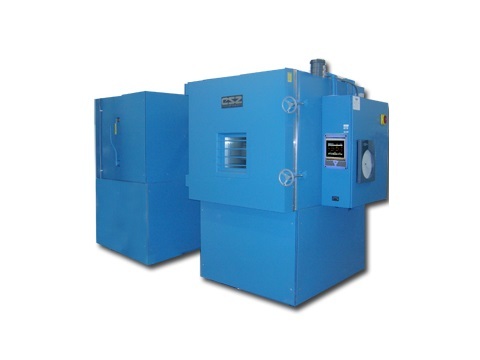 Pressure Chambers Pressure chambers are a type of environmental test chamber used to test all kinds of products in a wide range of environmental conditions. In order to receive a product that will satisfy your expectations and needs, being able to communicate your needs to your pressure chamber manufacturer is vital to the success of the final product. Knowing what type of ranges you would like to test under and the size of the actual chamber will greatly change how the manufacturer will handle the actual manufacturing process. Pressure Chambers – Cincinnati Sub-Zero Products, Inc. Typically, the pressure will be displayed through the use of pressure gauges and the operator will be able to adjust the pressure accordingly while monitoring these gauges. These chambers are typically constructed to withstand the forces associated with high and low pressures, but it is important to monitor the pressure to avoid any catastrophic events. These chambers are used in a variety of industries and applications; the marine industry is one example. They can be used to test equipment for use at great ocean depths, where pressures become extreme, making these chambers a crucial component of the development product. Some of these chambers are able to simulate up to 60,000 psi of pressure all with proper control and decompression tools in place, and they can also reduce pressure to create vacuums. So whatever your application may be, researching and contacting a knowledgeable pressure chamber manufacturer is the best step you can take to ensure that the product you receive is one that will satisfy the requirements of your application while keeping your workers and products safe. 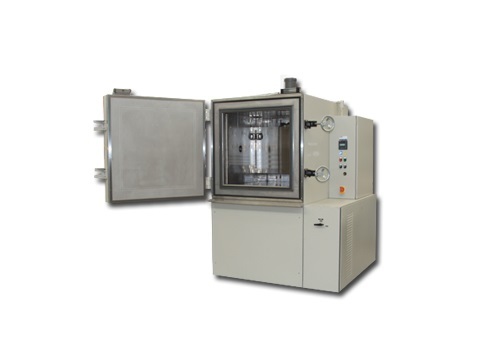 Whether you are looking for pressure chambers or other forms of environmental test chambers, knowing your needs and specifications will ensures a product that meets and exceeds your requirements.